I’ll be honest with you. One of the main reasons I have stayed in Hong Kong longer than the three years I originally thought I would, is because of what happened the last time we hosted the Asia Trophy in 2013. As has been well documented, that was an embarrassing farce and personally bitterly disappointing. I don’t like failure, so there remained unfinished business for me for which I wanted to make amends. 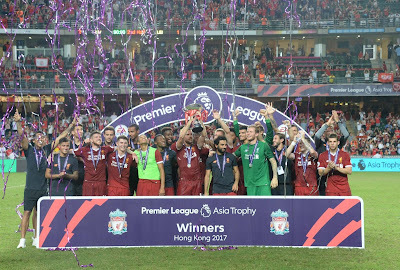 As soon as I heard that the Premier League was considering bringing back the Asia Trophy to Hong Kong in 2017, I was determined to exorcise the ghosts of 2013 and make this event the best ever. It is enormously satisfying to say that I think we achieved that goal. An event on this scale is a massive logistical exercise, and requires a huge amount of planning from a lot of personnel. The Premier League employs some wonderful people who were great to work with. The four clubs were excellent too, both on and off the pitch. I must also pay tribute to the Government for their help and support, not in least by terms of preparing the playing surface. My colleagues here at the HKFA have been immense, putting in time and effort way above expectations. This time it has been a privilege to be involved, and to help to make the tournament a world-class celebration of the sport we all love. The action on the pitch was terrific while the level of skill and competition was intense – this was by no means just an exhibition. Of equal importance is the community engagement that takes place during the week and the legacy programme. 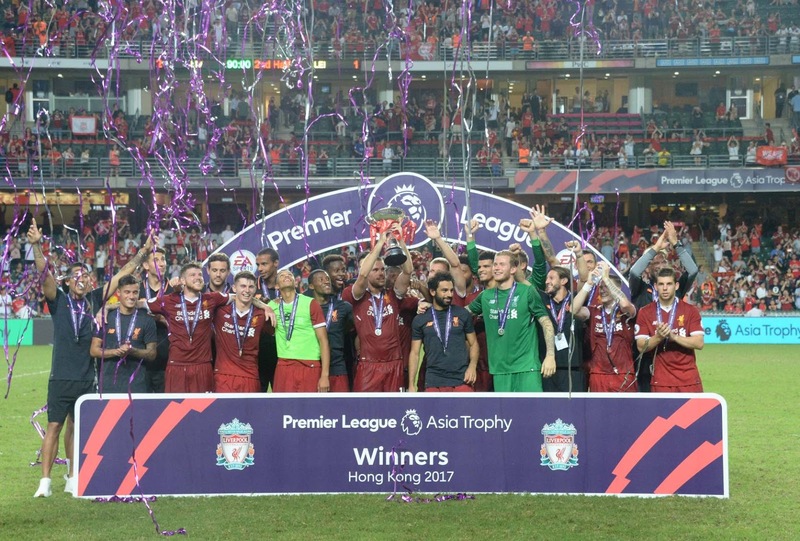 Hong Kong coaches, referees and young players benefitted enormously from the experience and expertise of professionals from the clubs and the Premier League. The HKFA will use the legacy funding wisely to invest in the future of Hong Kong football. The most gratifying thing is that the event showcased the huge demand and passion for football in Hong Kong. The atmosphere in the full stadium was simply electric. If only we could harness some of that enthusiasm for local football. Capitalizing on that interest is probably our biggest challenge here at the HKFA. We can now put the episode of 2013 behind us, and let’s hope we never see the phrase ‘killer pitch’ in the media ever again! The PLAT 2017 was a stunning success and will always be one of my career highlights. I hope the PLAT 2017 created some unforgettable memories for football fans. Any update for the Football Training Centre at Tseung Kwan O? Hi Gusts, the Training Centre is still under construction. There have been some delays but it is still expected to be finished later this year (2017). I am going to the site tomorrow for our regular bi-weekly progress meeting. Would you make a post in HKFA home page for describing the progress of the training center? Hong Kong Football Representative Team this year? Hi there and thanks for your comment. A friendly match against Macau (with their current ranking 182) would not gain too many ranking points. Besides we use the game to give some of our younger players experience. In order to gain more ranking points and prepare for the Asian Cup games we have arranged a friendly away in Singapore on 31st August, and home games against Laos and Bahrain in October and November respectively. Hong Kong Football Representative Team have friendly with Singapore on 31 August? Besides, will Hong Kong Sapling Cup have group stages in this seasons? Hi, as mentioned above we will play away in Singapore on 31st August and then two more home friendlies in Oct and Nov. It is our intention to have a group stage i the Sapling Cup to ensure teams can play sufficient games this season with only 10 teams in the league and no end of season play off. When will the Jockey Club Community Cup be held this year? Hi there, it is tentatively scheduled for 23rd September with a similar format to last year. When will 17/18 season start? The HKPL is due to kick off on Friday 25th August. Now that the number of teams has been finalised we have worked out the fixture schedule and we will share these with our clubs in the next few days. As soon as have afforded them that courtesy we will release the fixtures to the media and fans. What will Football look like in 25 years?